Discretization technique plays an important role in data mining and machine learning. While numeric data is predominant in the real world, many algorithms in supervised learning are restricted to discrete variables. Thus, a variety of research has been conducted on discretization, which is a process of converting the continuous attribute values into limited intervals. Recent work derived from entropy-based discretization methods, which has produced impressive results, introduces information attribute dependency to reduce the uncertainty level of a decision table; but no attention is given to the increment of certainty degree from the aspect of positive domain ratio. This paper proposes a discretization algorithm based on both positive domain and its coupling with information entropy, which not only considers information attribute dependency but also concerns deterministic feature relationship. 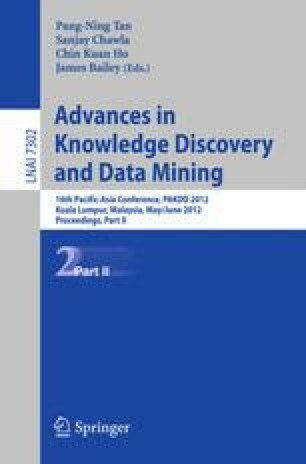 Substantial experiments on extensive UCI data sets provide evidence that our proposed coupled discretization algorithm generally outperforms other seven existing methods and the positive domain based algorithm proposed in this paper, in terms of simplicity, stability, consistency, and accuracy.